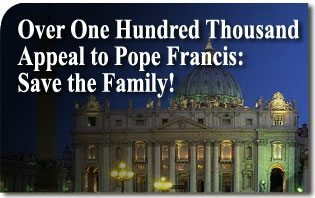 The American TFP > Statements > Over One Hundred Thousand Appeal to Pope Francis: Save the Family! 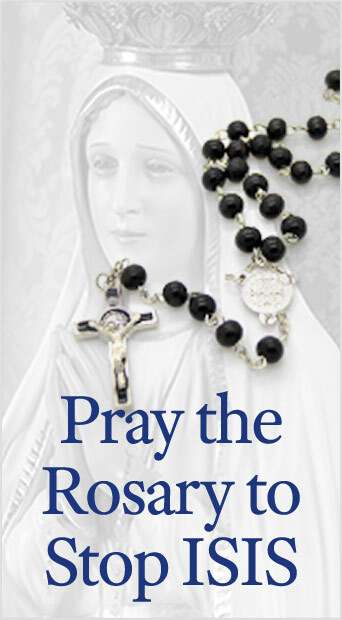 Spring Grove, March 5.— The American Society for the Defense of Tradition, Family and Property (TFP), working together with like-minded groups throughout the world, has launched a worldwide filial petition to Pope Francis to safeguard the family. This petition, which already has over 125,000 signatures, will be presented before the upcoming world Synod on the Family set for this October in the Vatican. The effort to defend the family comes in face of the confusion caused by statements regarding homosexuality and Communion for the divorced and remarried at last October’s Synod. It is hoped that the petition will express the concerns of hundreds of thousands, if not millions of Cathollics who oppose attempts to change the Church’s unchangeable doctrine regarding these matters. The petition is directed toward Pope Francis asking that “a word from Your Holiness is the only way to clarify the growing confusion amongst the faithful. It would prevent the very teaching of Jesus Christ from being watered down and would dispel the darkness looming over our children’s future should that beacon no longer light their way. This entry was posted in Statements by Joseph Jordan. Bookmark the permalink.